Emily Daley, now 42-years-old, developed scoliosis when she was a teenager. In the United States over 3 million cases of scoliosis, which is a sideways curvature of the spine, are diagnosed each year. The majority of individuals who have scoliosis learn to deal with the discomfort, but spinal surgery can alleviate chronic pain in some cases. Six years ago, Daley decided that she could no longer tolerate the severe pain and began looking for a spinal surgeon. In July 2011, she was operated on by Dr. Michael Thomas of the Cascade Neurosurgical Associates. After the procedure the pain temporarily subsided, but according to a medical malpractice lawsuit, filed on behalf of Daley over the summer of 2015, the surgery made the scoliosis and the pain associated with it even worse. 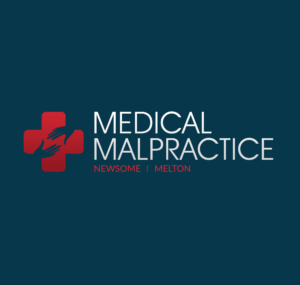 Daley’s lawyers claimed in court that because of the alleged negligence of Dr. Thomas, both during the surgery and afterwards, their client needed an additional operation three years later to correct the mistakes made by the defendant. The case was brought to trial two years later when both sides failed to agree on a settlement. The trial went on for seven days and the Washington jury took just six hours to deliberate before returning a verdict in favor of Daley. The jury found that Thomas was negligent and awarded the plaintiff $1 million for her pain and suffering in addition to $219,052 for her past medical expenses. The verdict in favor of Daley was the first medical malpractice lawsuit in which the plaintiff won in the Yakima County Superior Court in more than a year. “I really hope this verdict helps to protect other patients in the future,” said Emily Daley. After the botched surgery in question, Thomas was placed on probation by the Department of Health for performing an operation while under the influence of benzodiazepine and an unspecified narcotic. Thomas was removed from that operating room and voluntarily underwent a drug rehabilitation program at the Washington Physicians’ Health Program. Thomas’ license to practice medicine was renewed in January 2015, but according to the Department of Health his credentials expired in January 2016 and have not been renewed since. When Are Doctors Responsible for an Opioid Overdose? Can Patients Sue For Injuries From Breast Implants?